March 29, 2017. Welcome to Thailand! In August 2016, we decided to save Php 2,000 per month for our planned travel in time for our best friend’s Cez vacation from Canada. It was Harold who arranged everything about this trip – from collecting and keeping the money to ensure that it wouldn’t be spent, to arranging the itinerary, to securing the flights, and to booking the hotels. He’s so efficient that he could already put up his own travel agency! After eight months, the long wait was over. 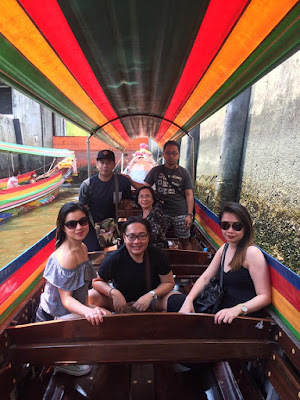 Our first trip abroad together was finally happening! 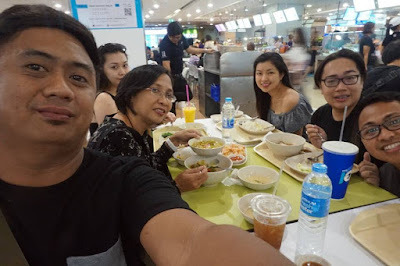 On March 29, we left for Thailand via Cebu Pacific around 9pm (yes, CebuPac was not delayed!) 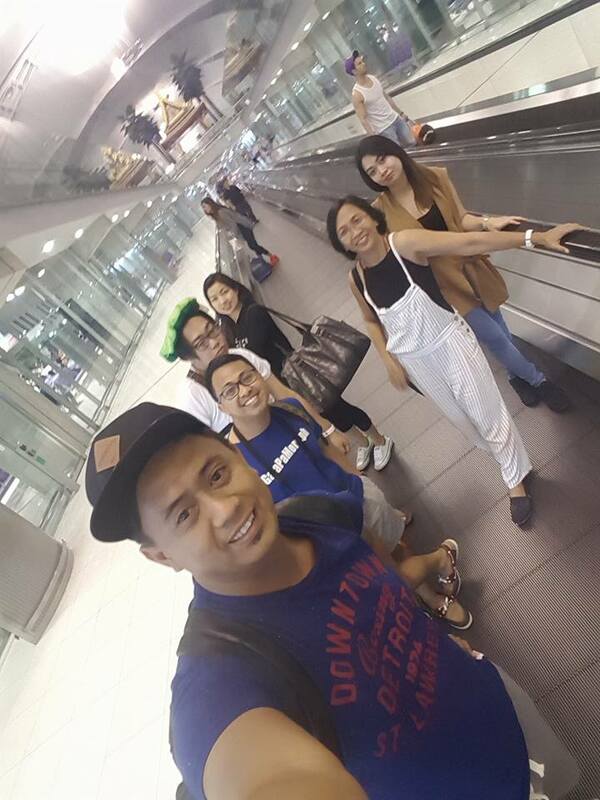 and reached Suvarnabhumi Airport in Bangkok around 1230am. 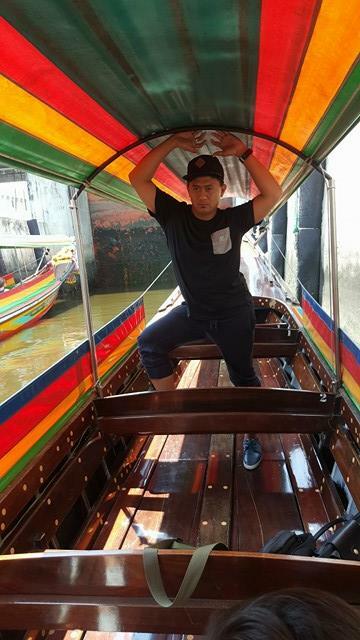 It was not my first time in Thailand. In fact, Thailand was the first foreign country I’ve been to. Among us, it’s Herbert who had not been to Thailand. Upon reaching the airport, we exchanged US $70 or 2,285 baht to cover our taxi and hotel expenses. 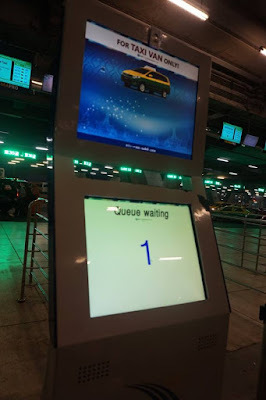 The taxi waiting area in the airport was very organized. There’s machine where you would input the type of taxi that you needed based on the number of passengers. We’re lucky to get an Innova and an entertaining, English-speaking driver, who brought us to Grand Sathorn Hotel in Silom. The taximeter that could fit us 6! 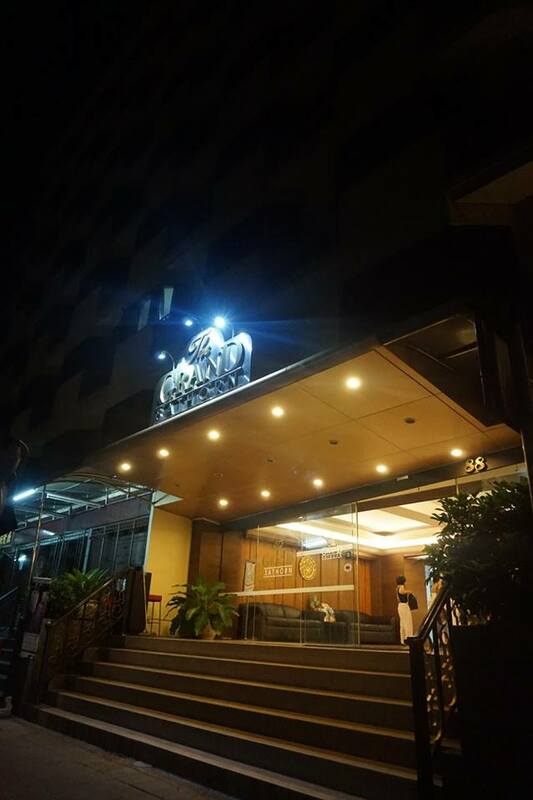 Grand Sathorn Hotel was a 4-star hotel with comfortable and spacious rooms, and amenities like fitness gym, swimming pool, and garden and gazebos on the roofdeck, among others. WiFi connection, though slow, was available, as well. The hotel also provided complimentary bottled water and coffee. Coming from a very tiring day (I came from work, went home, and rushed to the airport! ), I was excited to sleep and recharge for the next day’s adventure! March 30, 2017. Family. Health. Wealth. What I always look forward to in hotel accommodations is the breakfast. 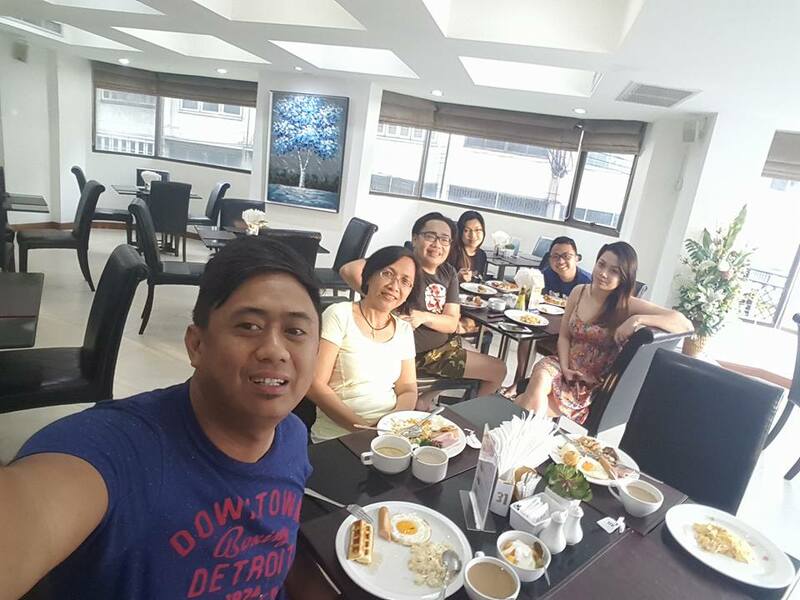 Good thing, Grand Sathorn Hotel had a great selection of delectable food – from fruits, to salads, cornflakes, oatmeal, omelette, bread, sausages, rice, name it! And I ate everything they offered! I learned that to maximize what you paid for, you need to strategize on how to be able to taste every food that the hotel offered! After prepping up, we decided to go on a tour, but as to which tour to choose, we were unsure. 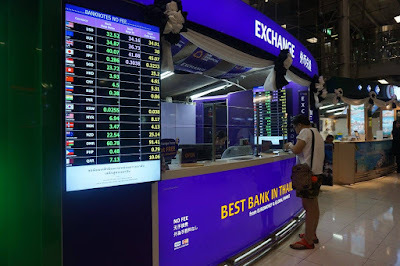 First things first, we walked to the nearest bank (Kasikorn Bank) to exchange our dollars to baht. A tip to first time travelers: do not convert all your dollars in the airport, because the exchange rates are better outside. After having our dollars converted, we continued walking until a woman offered help and suggested where to go. She even called a tuktuk and negotiated that we pay 80 baht only. Because of her kindness, we bought bottled water from her for 10 baht each. 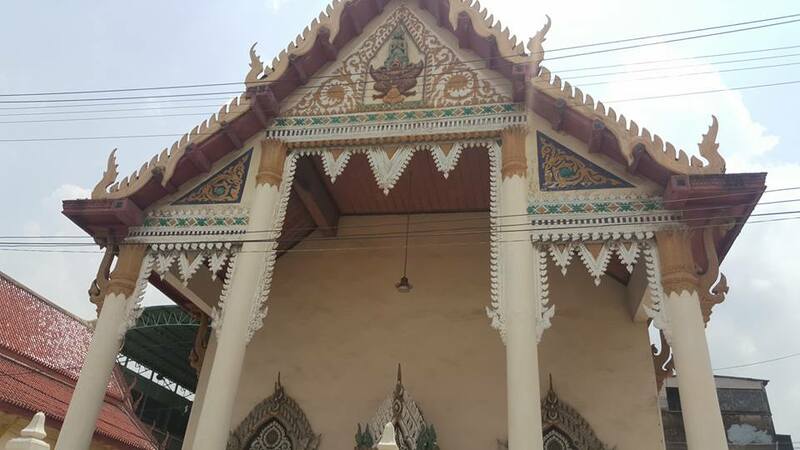 We rented another tuktuk, and the drivers brought us to Wat Chai Temple where devotees pray before the statues of various buddhas. There we met a certain soft-spoken man named Eric Kwek who introduced himself as a 68-year old doctor-turned-property developer who did not look his age! 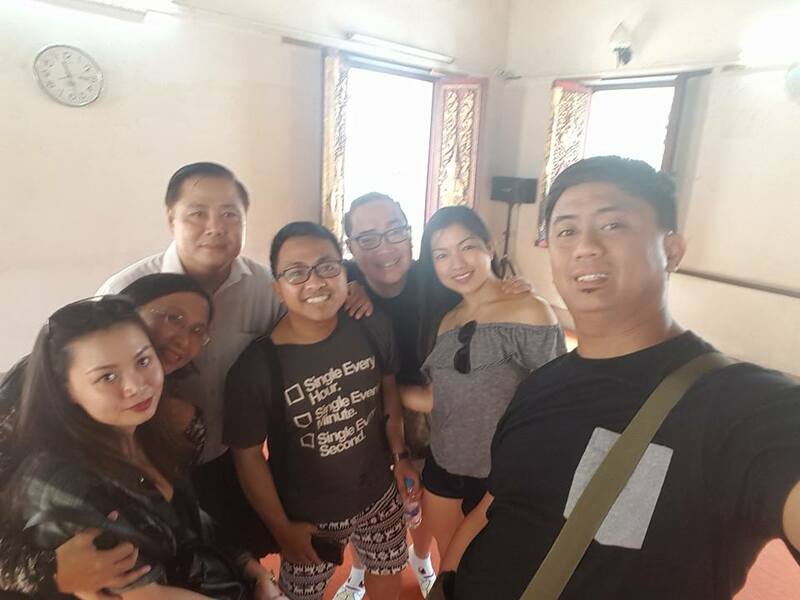 He told us that our visit in the temple was very timely since every year, on the 30th of March, they hold an event in the temple. Moreover, he spoke about life and what really matters: family, health, wealth. He knew a lot of information about the Philippines (and Philippine politics vis-à-vis China, Russia, and the USA), and even told us stories about his adventures in Aklan! My mom was from Aklan and it’s my hometown, so I was surprised to learn all the things that he mentioned about the towns in Aklan! Mr. Kwek influenced us to purchase orange sapphire, the same stone that Imelda Marcos and Pope John Paul II wore. He reminded us to purchase according to one’s ability and avoid being greedy. The stone would not be a “lucky charm”, but a reminder of “karma”. After saying goodbye to Mr. Kwek, we went to “Shang” and bought orange sapphire. 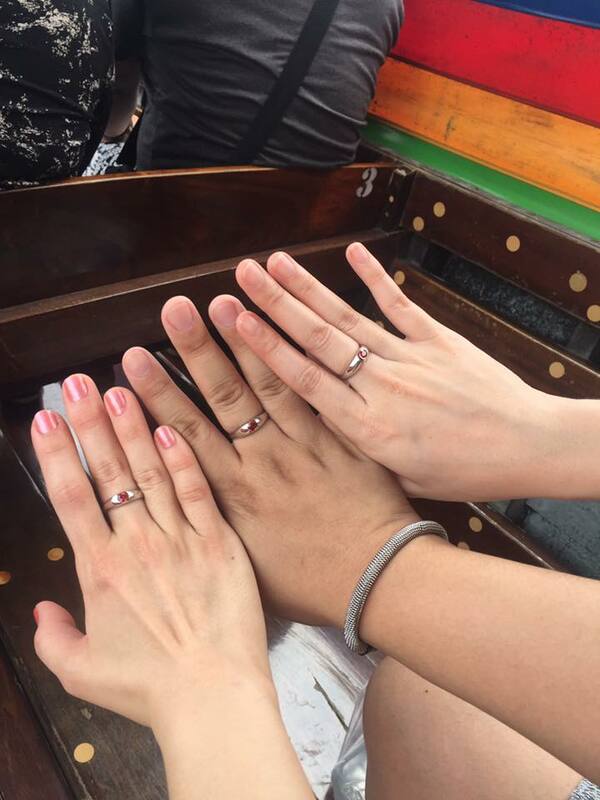 Cez, Karen, and Harold bought rings with the stone. The rings were a bit pricey, thus, Tita Chato, Herbert and I just bought the loose stones. We planned to have our rings done and customized in Manila! According to Mr. Kwek, one could not buy for another person as a gift. As much as we wanted to share our stones with other people, we could not. 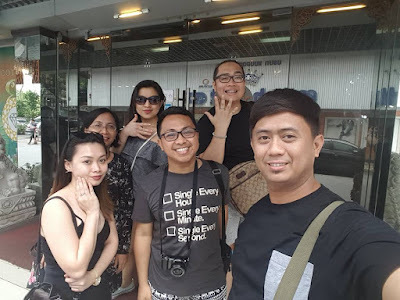 After buying our rings and stones at "Shang"
Afterwards, our tuktuk drivers brought us to Bangkok River Terminal where we would have our cruise along Chao Phraya River. We paid 300 baht each to our drivers for the excellent service they provided us. The one-hour river cruise cost 2,400 baht (each of us paying 600 baht). That was negotiated already. 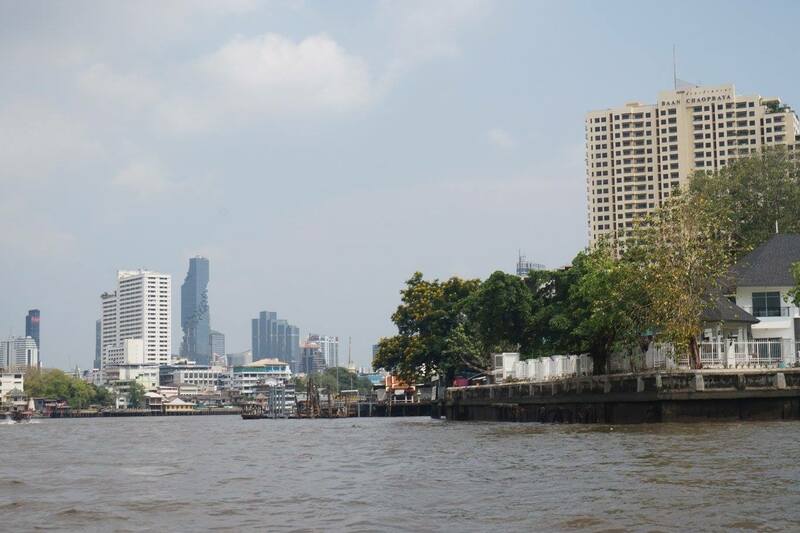 We sailed along Chao Phraya River and were amazed by the various buildings, temples, buddhas, and houses along the riverbanks! There were merchants selling goods, similar to the famous floating market of Thailand. 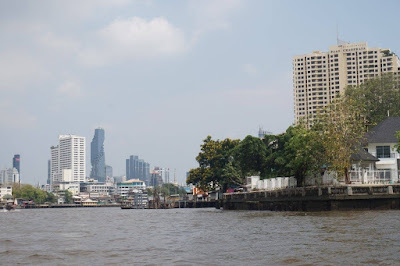 We disembarked at Sathorn Pier and walked to the nearest train station. It was my first time to ride in Thailand’s train since I wasn’t able to do that three years ago. We took the train to Siam and walked to Platinum Mall to have our super late lunch! Nothing has changed in Platinum Food Court. I still loved the concept of buying a card loaded with money which you would use in purchasing food from the various stores within the food court. The whole tiring day of tour made us excited about whatever food was on our tables! Just across the Platinum Mall was a Filipino store selling sampaloc (tamarind) and other pasalubong. It was the same store where we bought our pasalubong way back in 2014. After buying dozens of 20-baht sampaloc packs, we decided to go back to our hotel. We hired a tuktuk because it was difficult to look for a bigger taximeter (say, Avanza). 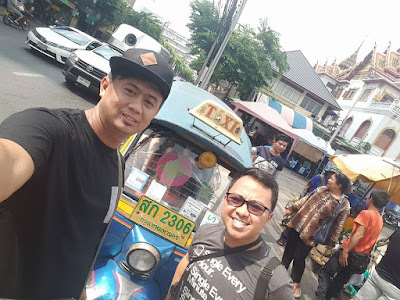 Initially, the tuktuk said that he knew where our hotel was and agreed to accept 200 baht as payment. Later on, at the middle of the infamous Bangkok traffic, the driver insisted that he didn’t know the location of our hotel! He went on asking other drivers and when we finally reached our hotel, he demanded for 300 baht payment instead! Since we were all tired, we just gave him the money. It was a long day, indeed, so we freshened up and rested the whole night! 1.) What is your best experience in Thailand? 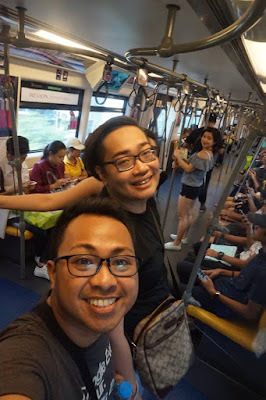 Since it was my first time in Bangkok, Thailand, I would say that the city looked like Metro Manila, with its tall buildings similar to those in Makati and Ortigas. The diffence, though, was that the buildings in Bangkok had various architectural designs, and the temples were all over! 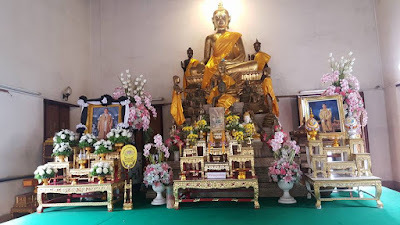 The best experience for me was not the city tour, but the person who approached us in Wat Chai Temple. He was a very positive person, with overflowing wisdom. He imparted with us some teachings in Buddhism and the achievement of Happiness – balancing Family, Health, and Wealth. 2.) What is your worst experience in Thailand? 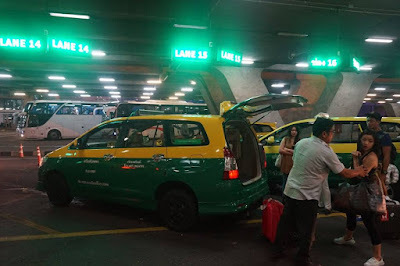 The rush hour traffic, overcharging of tuktuk fare, and the pollution!. 3.) What is your tip to first time visitors of Thailand? If you are a budget-conscious traveler like me, save every dollar that you have because it’s a bit pricey in Bangkok compared to Cambodia and Vietnam. Do not exchange all your dollars in the airport. Instead, exchange these in the money changer outside, or in banks where the exchange rates are better! Also, as much as possible, try to haggle to get a discount when buying “pasalubong” or boking a city tour. We only stayed for almost a day and a night in Bangkok. 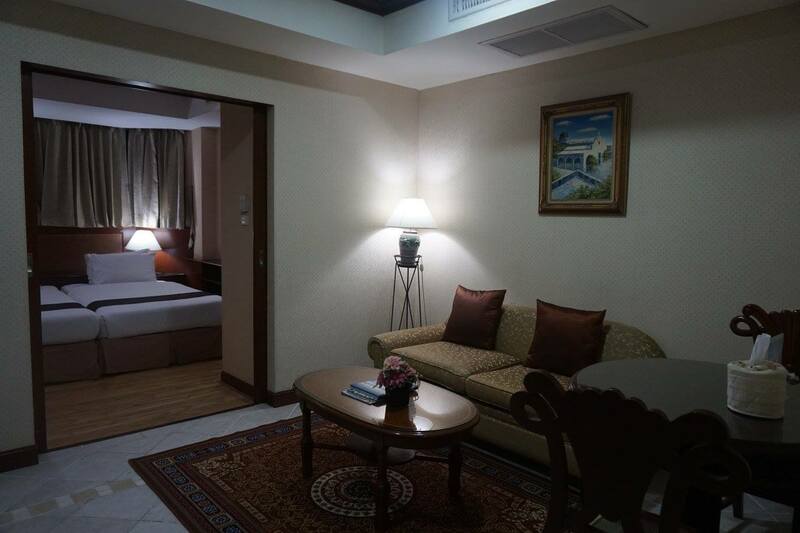 It would be better if you would spend more days in Bangkok to explore and enjoy the city more. However, it’s not about how short or long your stay is. It’s about happy memories with your best friends that count.